Walters bestowed the Most Fascinating Person of 2012 title on disgraced Gen. David Petraeus. 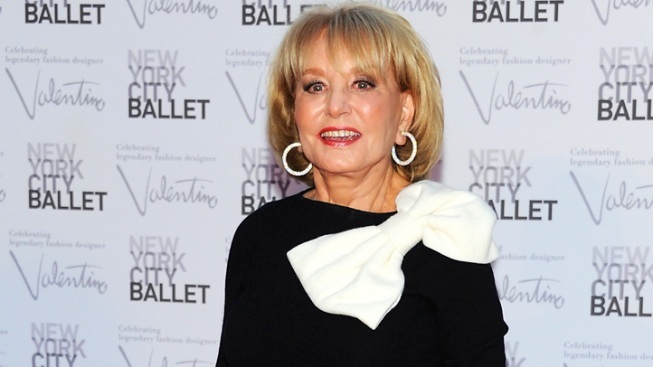 Barbara Walters, pictured here at the New York City Ballet Fall Gala, had a plethora of public figures to choose from to bestow the "Most Fascinating Person Honor," including Lindsay Lohan, Honey Boo Boo and President Barack Obama. Barbara Walters certainly had a plethora of characters to choose from in determining--as has become her annual tradition--who was the most fascinating person of the year. There was Lindsay Lohan, who just can't keep herself out of trouble (and she dissed Walters by canceling on her, to boot). Kate Middleton has an heir in the oven. President Barack Obama came roaring back from a dismal first debate and overcame even more dismal attacks from Mitt Romney's camp to win a historic second term. Taylor Swift dated a Kennedy! But it wasn't any of those muy fascinating folks. And, while Honey Boo Boo made the top-10 cut, but it wasn't her, either. Best of 2012: Top 10 shocking twists of the year! Instead, Walters bestowed the Most Fascinating Person of 2012 title on disgraced Gen. David Petraeus, the decorated U.S. military hero and director of the CIA who saw the bottom drop out of his career due to--not Libya, not Afghanistan, not Iraq--an affair! Controversy still swirls around whether the otherwise seemingly sterling leader's personal mistake should have resulted in his resignation as it did, but the downfall of a powerful, prominent figure is finger-wagging fodder that everyone can get behind. Fifty shades of fascinating, indeed! Best of 2012: The year's biggest moments of joy! Speaking of which, rounding out Walters' list in addition to Petraeus and Honey Boo Boo (now linked forever in the annals of history) were: Fifty Shades of Grey author E.L. James, New Jersey Gov. Chris Christie, Ben Affleck, One Direction, Olympian Gabby Douglas, Secretary of State Hillary Clinton, Seth MacFarlane and Prince Harry. Every single one of them caught our attention this year, so...No major objections here! Do you think these are the most fascinating people of 2012? Give us your list in the comments!